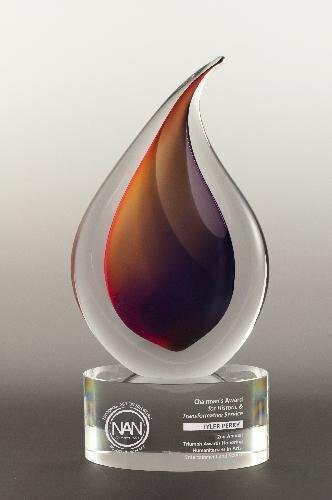 Jewel tones of purple and orange Art Glass award with diamond accents and polished aluminum and black marble base. 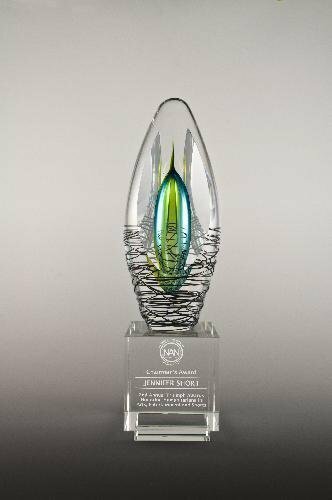 Swirling intense hues of multi-colored star fire Art Glass with a polished black marble base. 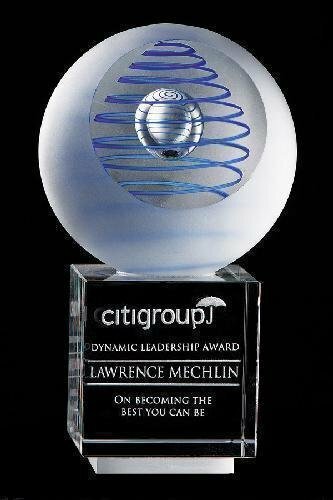 Earth tone colors emerge from this art glass plate while a chrome plated stand lifts this award for all to see. 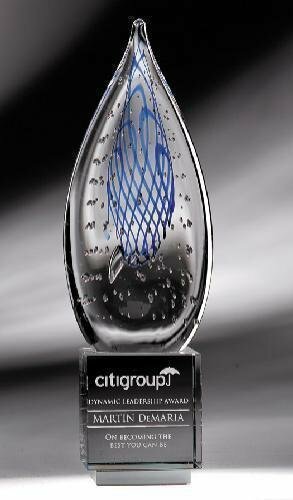 This award has rising stars and flashes of iridescent hues of Art Glass with a black cast stone base.